The big day is drawing nearer. All works become a rush. Certainly, I could not work on anything properly. Either I am picky or nobody could really decide without me. Mainly, it’s a big day and they want it to be the way I pretty much am pleased with. And I’m not too easy to be pleased now (not when I start to have preference). So, I can’t have purple because the only available color is pink or pink. I may choose to pay for the whole new loads for that particular one day and throw it all out in the end. But it’s not how I should/would spend money. I get pretty much frustrated with it then. 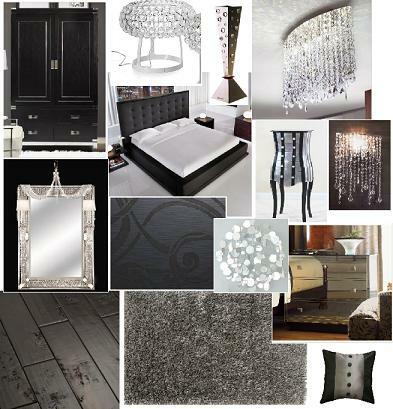 So, I took my mind off of it to look at pretty little room, my other project for the upcoming new life. The room had been plastered with new walls and board. Curtain and carpet are already picked. We had cleaned some of the dirt. And I could relax for a moment when looking at the result. Still, there are few more items to get, two new ceiling lights and a bed. I’ve checked a number of stores in PP and couldn’t find anything that I really like and would definitely go for it. It’s all just ok-ok. I googled and there are just so many choices available outside Cambodia. How unfortunate! Anyhow, I’m gonna go for a final decision this noon after lunch. Let’s hope I would spot a pretty one and bring it home right after with a big hope that I would be staring with a smile for a long time. Here’s just something that interest me. It's black and blink! they are pretty. Dreaming of a new house to decorate ... sounds a lot of fun! But only that dream can come true, ne. If only we are allowed to do just anything to the room, if only we are able to find what we want, if only we have all the money to make any purchase. Then I suppose, it's the most fun!